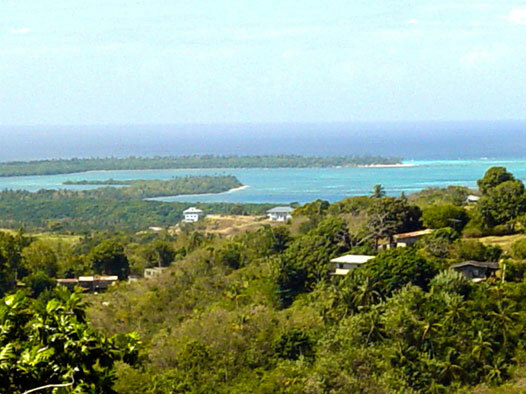 Buccoo village is one of the centres of Tobagonian entertainment. It hosts Sunday school, which happens every Sunday throughout the year. It also boasts a full on goat racing course complete with proper grandtans and goat facilities. These races are kept for major events like Easter and the Heritage Festival. There is a Seafood restaurant overlooking the sea called La Pescadora which is good for Breakfast , lunch and dinner. The beach is long, sandy and shade less, but sadly the effluent from the village pollutes the sea. There are several bars, one attached to the local Steel Pan Band's practice studio, a good place to hear Pan and lime the evenings away before Carnival. Buccoo Reef is a natural coral reef. It has been named one of the spectacular sights to see in the world, so well worth a visit. You can take a glass bottom boat tour out to the reef where you will see hundreds of different reef fish through the glass and you can also snorkel here if you like. The tours are available from Pigeon Point and Store Bay. After the reef you will then go to nylon pools, which is an area of shallow water on top of the reef. Here you can bath in the crystal clear shallow water (approx 2.5 feet high). It is said that when you jump into the water at nylon pool you will become 10 years younger.